Here’s a chance to win some awesome prizes and gain some publicity! 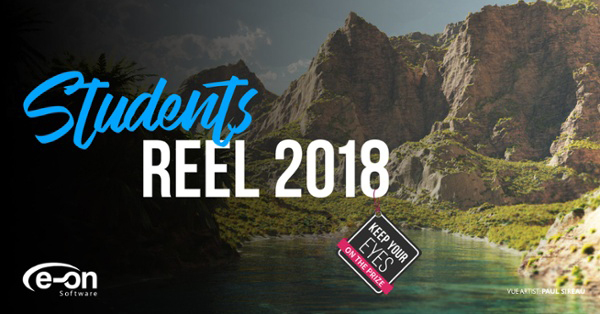 If you are currently enrolled as a student with a university email address, or are under 26, take this opportunity to show off your talent and get noticed by industry professionals. Here’s the catch… e-on software need to see how many students are interested first. If there are enough participants, they’ll launch the contest, and the deadline to participate is July 30th. Want to enter but haven’t had the chance to use VUE or PlantFactory yet? Download the free trials. Fill out the form over at e-onsoftware.com to take your creativity one step further! Preset Variations allow you to immediately include subtle differences to your plant (change the number of buds on a blooming flower, or its petal colours for instance). 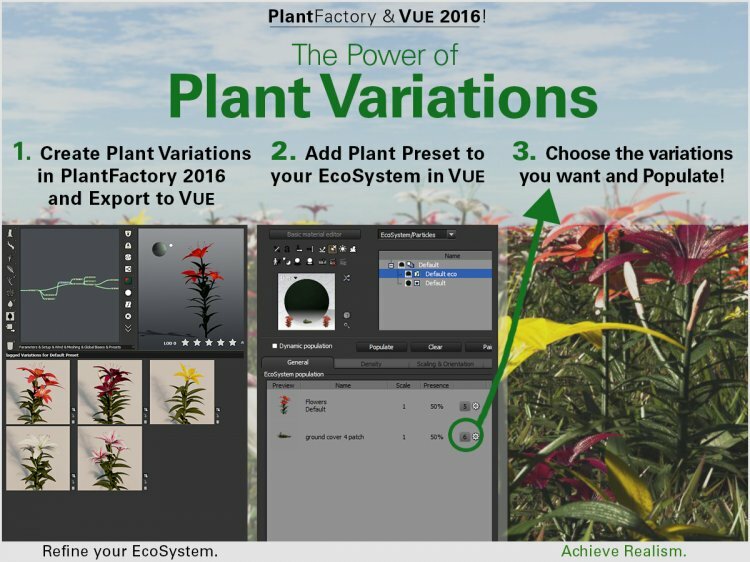 Within VUE 2016, you directly get access to the PlantFactory species presets and variations within the Plant Browser, the Plant Editor and within your EcoSystem population list. Stay tuned for more VUE-Leaks in the coming days! GPU rendering comes to VUE with the new Path Tracer renderer. 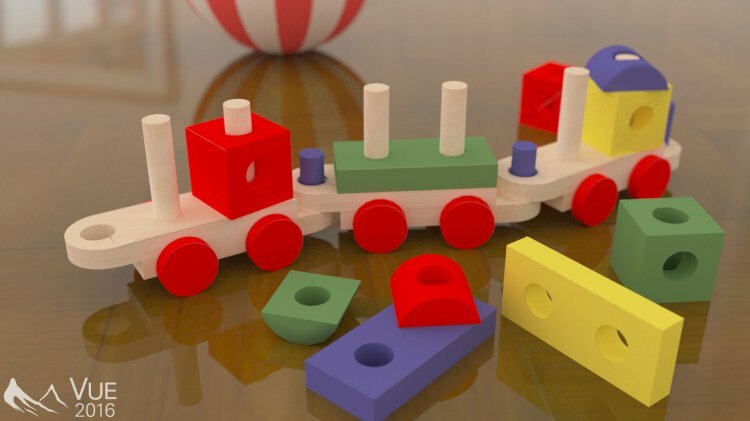 This renderer naturally and automatically simulates real-life lighting, and automatically calculates many effects that have to be specifically set with other methods, such as soft shadows, depth of field, caustics, ambient occlusion, and indirect lighting. 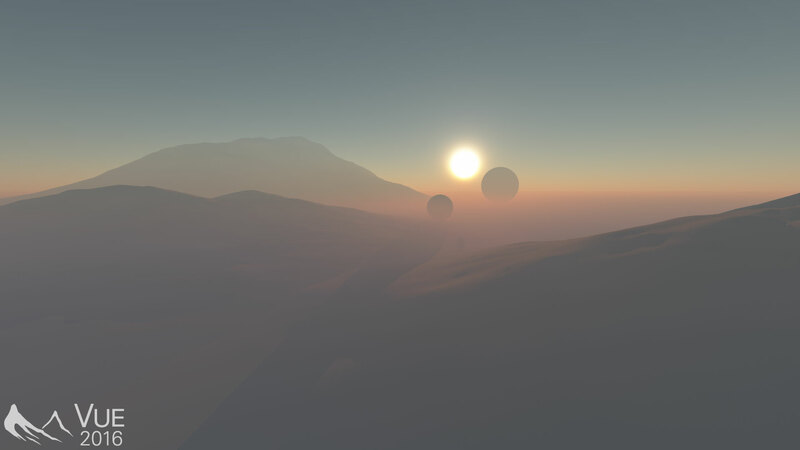 Path tracing in VUE 2016 is available as an interactive rendering quality in the viewports, as well as an offline rendering engine. LumenRT 2 Review for SketchUp Out Now! E-on Software have released a new version of LumenRT. 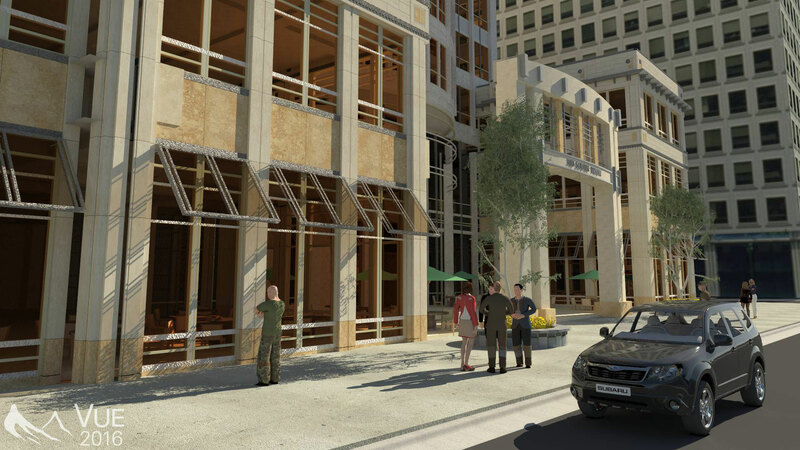 LumenRT is e-on software’s revolutionary 3D technology for the interactive visualization of architectural projects. Create high quality real-time visualizations of your models and explore them with your mouse! The realtime engine is compatible with Google SketchUp, with support for other platforms coming soon, and allows for publishing scenes as self-contained executable files that play on PCs and Macs. A trial version is available for download.